Seniors that are looking for ways to become financially free in 2013 have been given the option to erase outstanding debts by using Life Settlements. Without financial debt, seniors can enjoy the more interesting things in life. It’s finding ways to achieve a debt free life that can be tough, especially considering the situations facing retired seniors. These settlements provide a way to eliminate debt, buy vacation property or help someone else out, by providing a way to secure funds quickly. 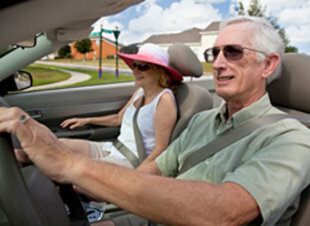 Retired seniors often have limited income to spend on luxuries. Many times, the monthly bills can exceed a fixed income household’s budget. Needing help paying off medical bills is common in 2013 for seniors with limited incomes. Those not able to keep up with the growing cost of hospital and doctors’ visits are now using settlement alternatives to pay off healthcare providers. Many are selling off their life insurance policies because the premiums have become too expensive to afford. Some seniors have figured out a way to create dividends above cash value from investments they have already made in life insurance. Some financial advisors are showing retirees how to use their current life insurance policies to make their debts disappear. By selling their life insurance policies, policyholders can receive lump sum payouts of up to 60 percent of the policy value. These payouts are being used to create a new and more enjoyable financial situation. These types of financial strategies are easier to execute than obtaining the traditional loans that some might choose. Seniors who may have felt as if they had lost control of their finances have found another alternative to debt free living. They have gained a secure financial foothold on their future and possibly contributed to the futures of others. Being able to help their children, revive a business that needs a boost or move into the lake front cabin, can be made easy when considering cash settlements against their life insurance policy. Anyone considering this type of settlement should consult with an advisor for details.